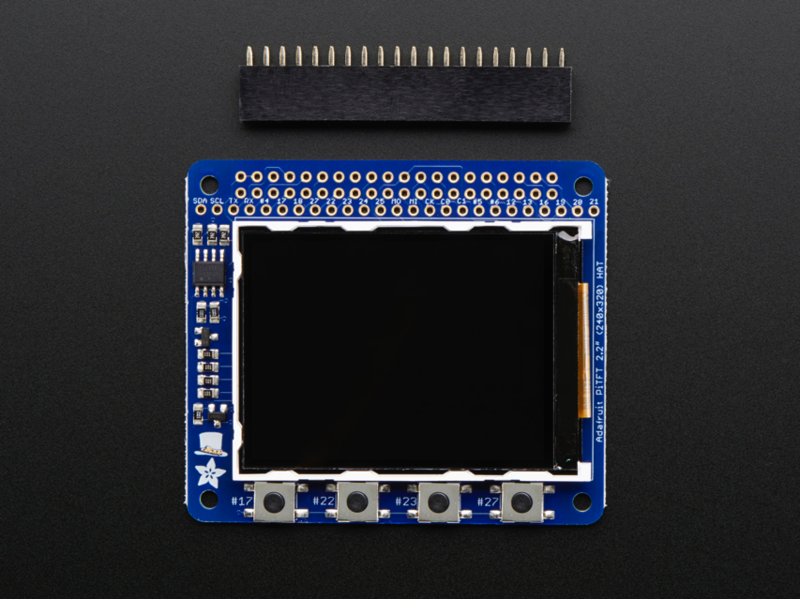 NEW PRODUCT – Adafruit PiTFT 2.2″ HAT Mini Kit – 320×240 2.2″ TFT – No Touch « Adafruit Industries – Makers, hackers, artists, designers and engineers! The cute PiTFT got even more adorable with this little primary display for Raspberry Pi in HAT form! 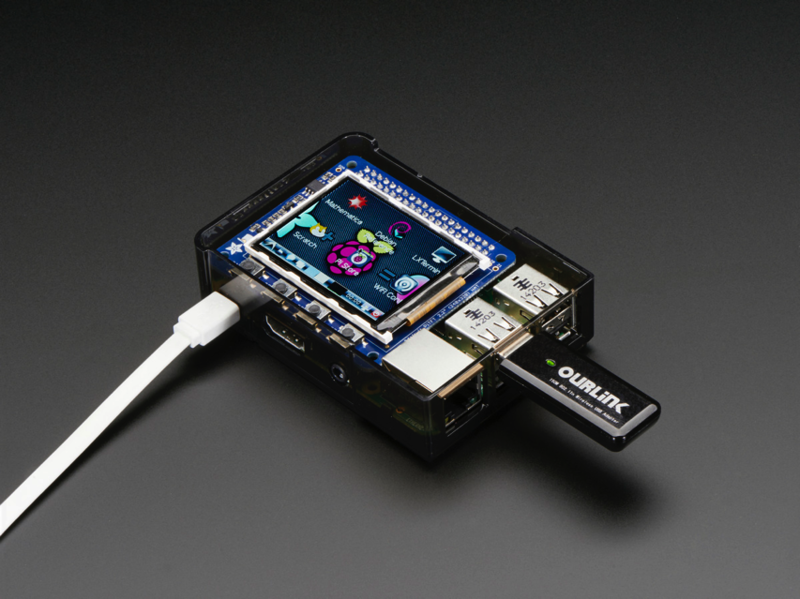 It features a 2.2″ display with 320×240 16-bit color pixels. 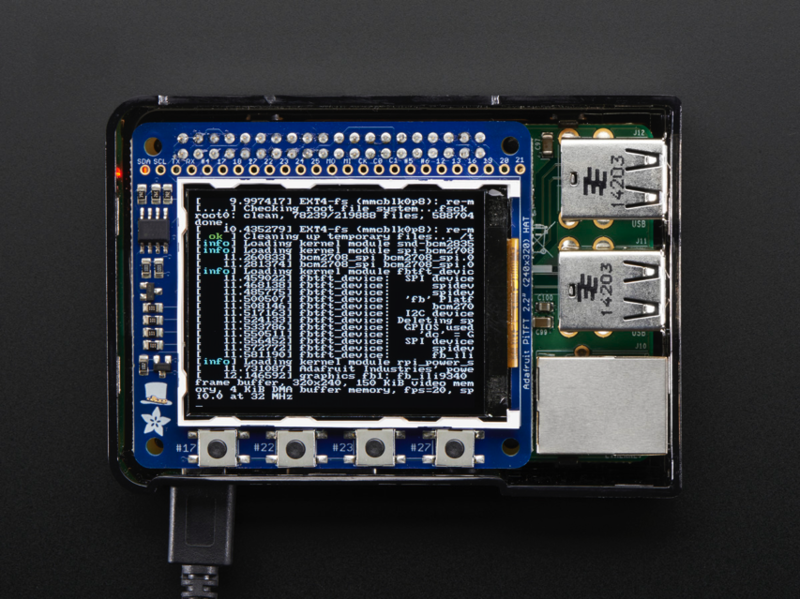 The HAT uses the high speed SPI interface on the Pi and can use the mini display as a console, X window port, displaying images or video etc. Best of all it plugs right in on top of your Model A+ or B+ and fits into our case quite nicely. This design uses the hardware SPI pins (SCK, MOSI, MISO, CE0, CE1) as well as GPIO #25. All other GPIO are unused and are available on a 25-pin long breakout line. Since we had a tiny bit of space, there’s 4 flat tactile switches wired to four GPIOs, that you can use if you want to make a basic user interface. For example, you can use one as a power on/off button. 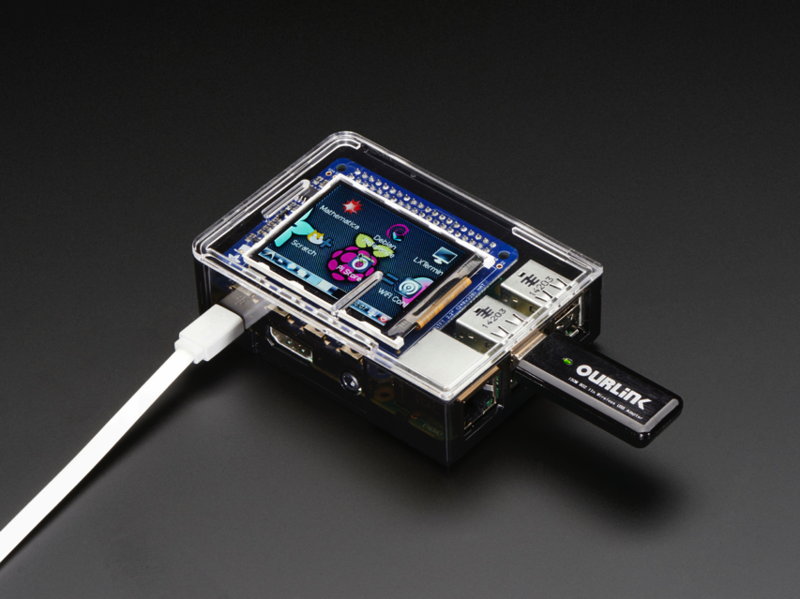 Comes as a fully assembled display PCB and an additional 2×20 GPIO header. Some light soldering is required to attach the 2×20 GPIO header to the HAT but it’s fast and easy for anyone with a soldering iron and solder. You can also swap the plain female header we have with a ‘stacky’ type that lets you plug in a hat or GPIO cable on top or a slim ultra-low-profile header. 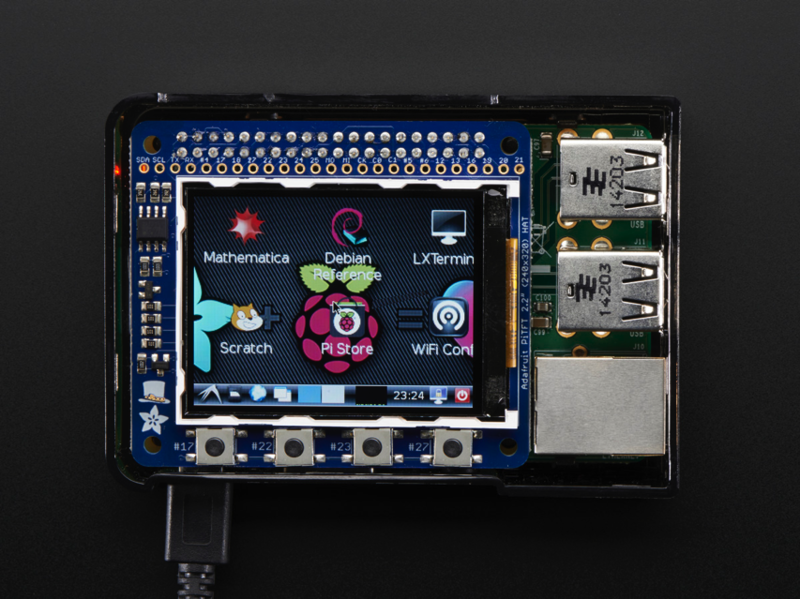 To make it super easy for use: we’ve created a custom kernel package based of off Notro’s awesome framebuffer work, so you can install it over your existing Raspbian (or derivative) images in just a few commands. Our tutorial series shows you how to install the software, play small videos, or display images such as from your PiCam and more!